Fox will be 12 weeks old this Sunday! I don't know whether to count that as 3 months old or if November 19th would be the 3 month mark -either way, this kid is growing so fast! 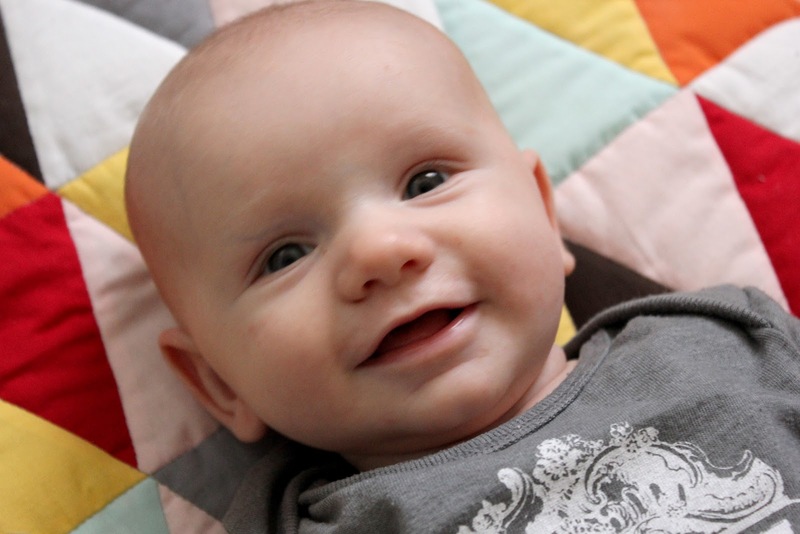 He is smiley all of the time, is a pro at holding his head up, only wakes up once a night (usually), responds to noises now (turns toward where a noise/voice is coming from), loves to lick burp cloths, and is always kicking his feet. He's so cool. And he had his 2 month doctor check up yesterday (I know, I scheduled it late); this kid definitely has his parent's tall/thin genes. Oh little fox. Heart him. Cutest and coolest 3 month old around! atta boy, foxy! growin' tall and thin!